Going to the AIA/LA Design Awards is a totally different experience when you’ve been on the jury, as I was this year. For one, you get to see the entire spectrum of the awards program, the behind-the-scenes production and the staging of what seemed like a thousand projects flashing before you in a darkened room. Not only do you have the heavy responsibility of judging all of these, but also you then have to champion and defend the ones that really speak to you. There was a lot of debate and discussion—and even some yelling and throwing of chairs involved. And probably way too much caffeine. The best part about being on the jury was to finally see and meet the people behind all the winning entries, whether unbuilt Next LA projects, where propositions about cities and buildings moved the bar a few notches higher, or the built projects that make people think twice about what architecture is and can be, was gratifying beyond simple description. Of course, in the back of my mind, were all those projects that didn’t make the cut, some of my personal favorites. Overall, what I came away with was an excitement about the state of architecture right now. While it might seem obvious, the awards remind you that there are so many different ways of thinking about and doing this, so many ways of shaping environments that impact people on multiple levels. From the awards ceremony at the Aratani Theater in Little Tokyo, the crowd shuttled and walked—I think Alissa Walker, winner of the Design Advocate Award, did in fact walk—to the dinner reception at the A+D Museum’s new digs in the adjacent Arts District. If I had to measure the awards in decibels, the loudest cheers and applause definitely went to Sarah Lorenzen, Chair at Cal Poly Pomona, who won the Educator Award. 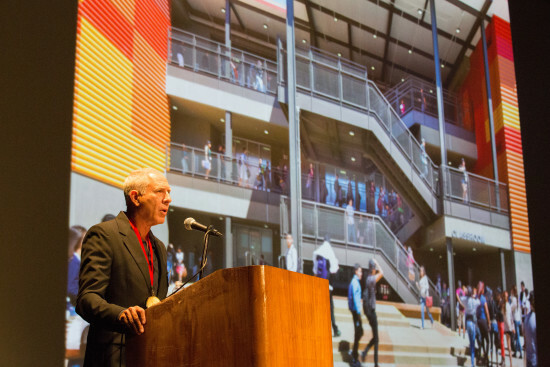 “I guess it’s good to be a teacher,” joked AIA/LA president Ted Hyman of ZGF Architects, who presented the Presidential Awards. One of the best moments of the night had to have been Steven Ehrlich’s heartfelt and genuine speech after he was presented with the Gold Medal. He spoke to the core of the discipline and profession. “At every step in my practice I’ve been blessed with the most talented and congenial collaborators and courageous clients that anyone could wish for,” said Ehrlich. 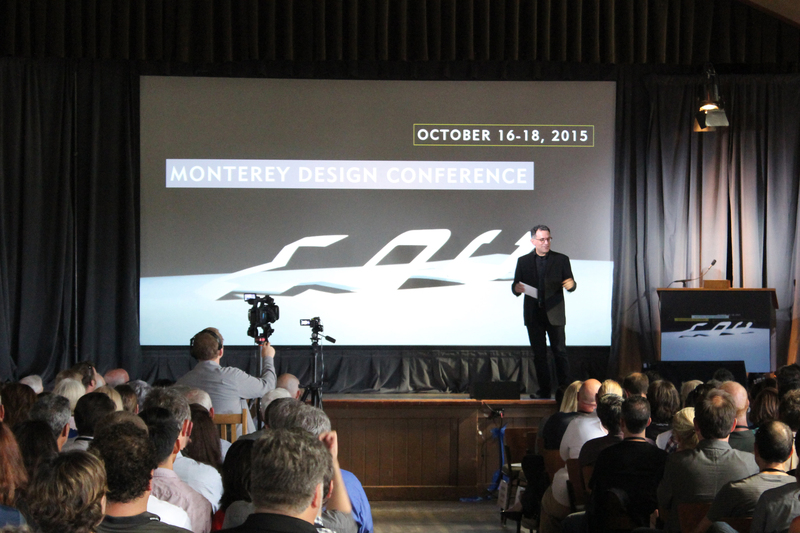 His speech was all about “we.” And truly, that’s what design is all about. Love design? Love Los Angeles? Then put on your walking/biking/gallery-prowling shoes and get ready for the 2014 Los Angeles Design Festival. The festival, which opened last Friday, is a two-week tribute to the best of LA architecture and design. Its program is packed with tours, mixers, exhibitions, and other special events. Each Friday during the festival, play "Design Hooky" with a self-guided tour of area studios and galleries, followed by (of course) a party. Other highlights include a design dialogue with Steven Ehrlich, Onna Ehrlich, Joel Bell, and KCRW's Frances Anderton this evening; the Dwell East Side home tour on Saturday, June 21; an urban hike down historic Broadway with AN's Sam Lubell on Sunday, June 22; and Chinatown Design Night on Saturday, June 28. See the Los Angeles Design Festival website for a full program and to RSVP for limited-attendance events. For those of us who grew up in the 70s and 80s, it's time to feel old. 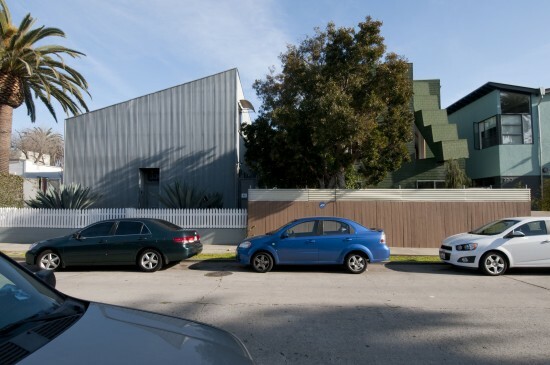 As part of its "Curating The City" series, the Los Angeles Conservancy is tomorrow hosting an amazing tour called Venice Eclectic: Modern Architecture from the 1970s and ’80s. The event features looks inside whimsical buildings by, among others, Frank Gehry (Indiana Avenue Houses/Arnoldi Triplex), Steven Ehrlich (Ed Moses Studio), Brian Murphy (Hopper House, above), Frederick Fisher, and Frank Israel. Yes, it's time to appreciate these decades for more than disco and Madonna. After the tour there will be a panel featuring Ehrlich, Fisher, and Murphy. And that's just the beginning of a busy weekend for LA architecture and urbanism buffs. There's also SCI-Arc's 40th birthday party on Saturday night and CicLAvia—with an expanded route going all the way to the ocean for the first time—on Sunday. Get going. 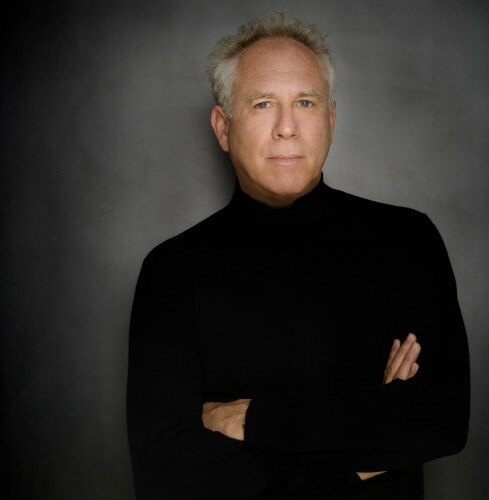 The American Institute of Architects California Council (AIACC) has named Steven Ehrlich the 2011 Maybeck Award recipient for lifetime achievement in architecture. The award recognizes an architect’s body of work for outstanding design achievement extending over a career of 10 years or more. Named in honor of Bernard Maybeck, only 14 awards have been given since its inception in 1992. Ehrlich joins Thom Mayne, Frank Gehry and Joseph Esherick, among others. Before opening Ehrlich Architects in 1979, Ehrlich served as a Peace Corps architect in Morocco and then as a professor of architecture in Nigeria. During his six-years in Africa, he began to develop his approach of "Multicultural Modernism," a belief that architecture should respond to the specificities of site and local culture. Ehrlich’s work spans institutional, civic, and residential projects. 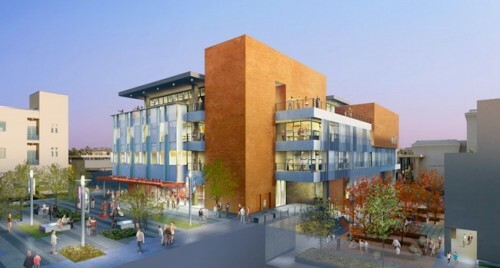 Noted projects include the John M. Roll Federal Courthouse in Yuma, Arizona; a Residence Hall for Pomona College; the University of California Irvine New Media Arts Center; and numerous single family homes in California, Texas and Dubai. Earlier this year, the firm won the international architectural competition to design the United Arab Emirates Federal National Council’s Parliament complex. In addition to the Maybeck Award, Ehrlich Architects was named 2003 Firm of the Year by the AIACC.